Casual style doesn't necessarily have to be boring. Slip into the Free People Stella Skinny Jean and pair it with your favorite billowy top to head out the door in style. The high rise waist pairs well with a crop top or tuck-in button down, while the skinny fit complements flowing sweaters or tunics naturally. 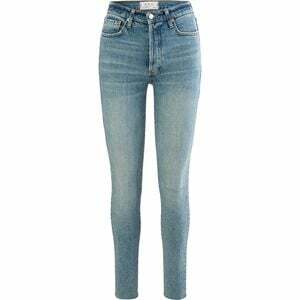 To add some edge to this classic jean, Free People left a raw hem to up your style game.